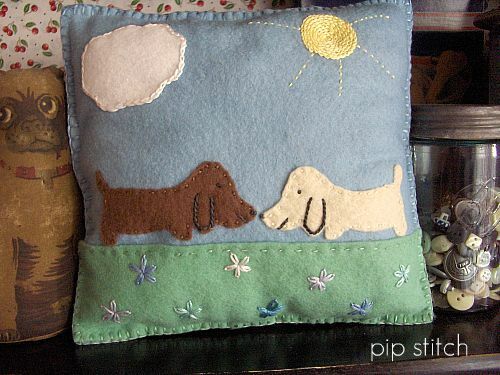 Gina Matarazzo has an Etsy shop where she sells her embroidery patterns and artwork. Check out her site for two adorable free patterns of kitties and hot dogs. And Vicki over at Turkey Feathers is sharing patterns for a state flower quilt. I'm lazy tonight and don't feel like linking to the patterns she's posted so far, so here's a link to all the entries that are tagged with the State Flower Quilt label. I really would like to make this one. Please get your affairs in order because if I actually make this quilt, it's the end of the world as we know it. Like you, I too have many 'end of the world' projects. You still always make me laugh!